Amnesia Haze, Purple Haze or G13: Hazes are among the most beloved strains around - here’s where they come from, what they are and a selection of the finest. The 1970's was a decade that saw many things introduced to western culture. Groovy fashion, psychedelic music, protests, and most notoriously – haze strains. 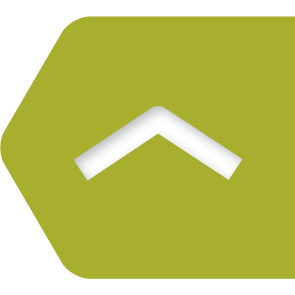 Hazes account for the most popular cannabis strains used today. Unlike their counterpart, indicia strains, Hazes are almost pure sativas that induce an elevating, euphoric high that lasts for hours. Indica strains are enjoying great popularity among those looking for a relaxing experience, but the Hazes are the choice for the uplifting moment. One reason that accounts for the marked difference between sativa and indica strains is the variation in the cannabinoid profile. While both sativas and indicas can produce THC levels in the 25% range, it’s not the THC alone that determines the effect. Quite the contrary, it is much more the complex interaction between cannabinoids, terpenes and flavonoids that creates a unique effect. There are more than 80 different cannabinoids, and their effects are not very well understood - their interaction or synergistic effects even less. While the proliferation of Haze only became dominant within the United States around the 1970's, landrace haze strains actually have been growing in India, Mexico, Brazil, and in the Caribbean for centuries, if not for millennia. In the 1800's, the British had colonies in some of those countries and there hazes were already cultivated for recreational use. How it came to become so popular in the United States was only a matter of time - and chance. In the 1930's, a few seeds were brought on a ship to the United States. A few curious individuals decided to plant these seeds, and soon afterwards, the haze craze began. Things took really off, when two brothers decided to revolutionize cannabis seeds and create separate strains of the plant. "The Haze Brothers" created two separate strains known as R. Haze and J. Haze. They did this by combining a number of cannabis strains that were available in the area. With that, what they created became known as "the original haze." From there, haze has become one of the most popular and widely used strains. With the strain types available, many are able to get effects that they are looking for. The evolution of Haze strains doesn't hail from the United States, but in the Netherlands. In the 1980's, cannabis companies in the Netherlands began to cultivate the plant to produce seeds. To get the most out of the plant's abilities, the Dutch began to combine the already established and solid haze strains from California. The main varieties that they utilized included established strains such as the Original Haze, Hindu, Kush, and G-13. Additional haze strains were developed, creating a wide variety of aromas, potencies, and effects. All hazes are strongly sativa dominant strains, however, each strain comes with its own characteristics. Depending on the type of haze strain that you use, you are bound to experience a different high. In general, Hazes are strong, sometimes even psychedelic, a good example for which is the Amnesia Haze. Other Hazes are a little softer in their character, specially earlier versions. In the last few years, the potency has increased sharply as a result of superior breeding practices. The high induced by hazes is often coming on very quickly, however, the peak can wear of rather fast and give way to a plateau that lasts for hours. The initial high is often intense and uplifting, but then changes into a more relaxing mood after the initial burst of energy. Created in the Netherlands using a combination of haze strains and The Original Haze, this strain requires a hot outdoor climate and a long flowering period to fully mature. But the long wait is well worth it; it is one of the most sold strains in the Dutch coffee shops and can be rightly called the queen of the hazes. Above all, it is the high of this stain that leaves little room for improvement. It is uplifting, inspiring, euphoric and psychedelic in higher doses. 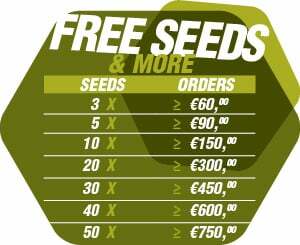 Seeds are readily available from seed banks such as Royal Queen Seeds. Neville is the first haze that was introduced to Holland, and some would say, this is the "only true haze" on the market. It is of the sativa breed, but many growers find that it can be difficult to cultivate. The main strain combinations of this strain include Pure Haze and NL5 Haze. As for use, it is an extremely potent variety, and therefore those that are not experienced with Haze should refrain from opting for this strain unless a true challenge is at hand. Using this strain will produce extreme effects. This strain has been bred from G13 and Hawaiian sativa strains. Shrouded in mysterious origins involving secret governmental organizations, G13 Haze is a bit of a legend. Not at last because it is an extraordinary plant that offers great yields and unforgivingly strong effects. With some indica undertones, the G13 is not a pure sativa, however, bred for maximum potency. „S´cuse me while I kiss the sky!“ That’s the stuff that inspired Jimi Hendrix already back in 1967. Purple haze is literally a vibrant purple in color. It has an extremely aromatic smell, and those that take it will feel an exhilarating rush coupled with their pain relief if relevant. Lastly, once the high settles, a mellow and calm feeling will preside that cannot be matched to any other strain that you ever try. A winner of the 1997 Cannabis cup, Super Silver leaves users with a euphoric feeling and an extremely high level of energy. It is most of the sativa breed, and using it leaves you with a gentle and smooth feel. The great thing about this strain that unlike others, it’s allows you to be productive and get to stuff done.